Lake Owlsmere is the newly created lake at Owlcatraz. 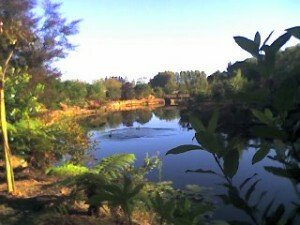 It has been planted with hundreds of beautiful plants and trees and is home to many varieties of ducks and birdlife. The walk around the Lake takes a few minutes with stops to feed the ducks from the lovely wooden bridges and view the sanctuary area. Take a peek inside the purpose built hut designed for the photographers amongst us.